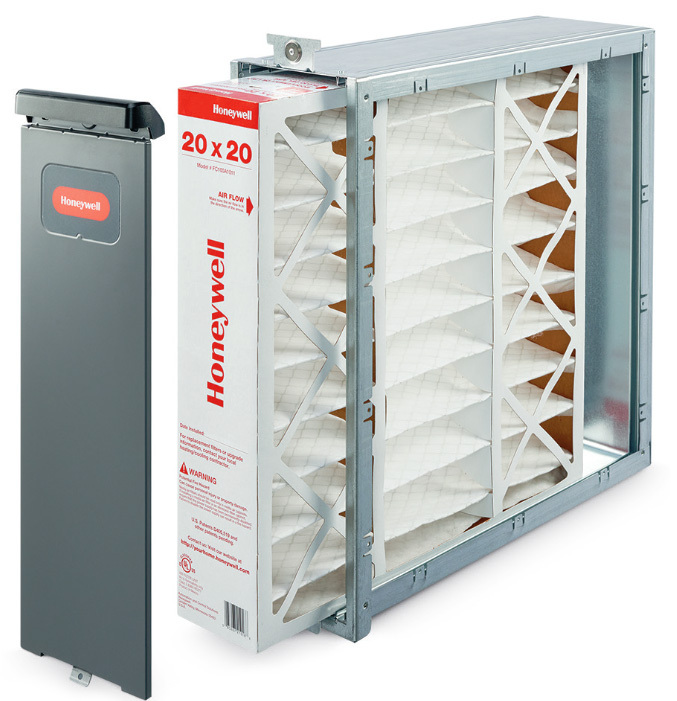 The F200F2025 Media Air Cleaner captures a significant amount of the airborne particles in the air, as small as 0.3 microns, circulated through the unit. Replaces previous model F200E1037 and F200F2010. 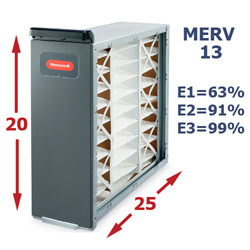 The charged media air cleaner includes the steel cabinet, access door and MERV 13 pleated media filter FC200E1037. The F200F2010 steel frame can be upgraded to the F300E1035 electronic air cleaner. 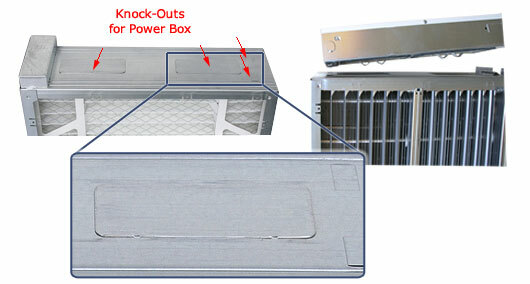 The frame has knock-outs to accommodate the F300E power box. The F200 frame is the same as the F300 frame. Purchase the F300E1035 and move the components to your existing frame. The F300 cells, prefilters, and postfilters slide into the F200F frame, replacing the FC200E1037 media filter.